Do Rabbits Do Well With Other Household Pets? Bringing two pets together is always an extremely daunting experience, especially if the little ones are from an entirely different species. Rabbits are often very loving and bright creatures, but that doesn't necessarily mean that they'll get along with every single critter in their vicinity. With the proper circumstances and a healthy environment, rabbits and felines may make a good team, particularly in cases where the bunny doesn't react fearfully to the latter's mere presence. In general, rabbits work better with cats that have calm and relaxed overall dispositions. The initial introduction of a cat and a rabbit can make a world of difference. If you introduce the fluffy duo to each other gradually and always in a neutral setting, you may be able to get some success in getting them adapted to each other. Dogs are a similar situation as cats. If a canine has a mild and gentle temperament, he may get along with a rabbit just fine. It's crucial, however, to always monitor dogs around rabbits, especially at first. Doggies have a tendency to get overexcited around new things, so you want to take care to ensure that your pooch doesn't get a little too rambunctious around your bunny. An overly energetic dog may be very scary to a rabbit, especially at first. Guinea pigs and rabbits also may be a suitable match. However, in some situations you may notice a rabbit becoming a little too bothersome for the guinea pig, especially when it comes to chasing activities. Guinea pigs generally aren't the biggest fans of being run after all the livelong day, and some rabbits may do just that. It's important to note, though, that all guinea pigs are individuals. One may get along famously with a fluffy cavy, and another, not so much. Ferrets and bunnies are generally a no-go. The two species can actually be a hazardous combination due to the carnivorous natures of ferrets. If you combine a ferret's carnivorous appetite with natural hunting behaviors, you may have a recipe for disaster. If you own a ferret and bunny under the same roof, do all that you can to make sure that they are never, ever sharing the same space under any circumstances. Birds and rabbits may work within the same household, but it's important to note that certain noisier bird species may be rather taxing on a bunny's quite delicate eardrums. Because of this potential conflict, cockatoos and macaws may not be ideal for life alongside a rabbit. With the seemingly countless different kinds of household pets out there, it's crucial to always speak to your vet before bringing one into your bunny's daily existence. 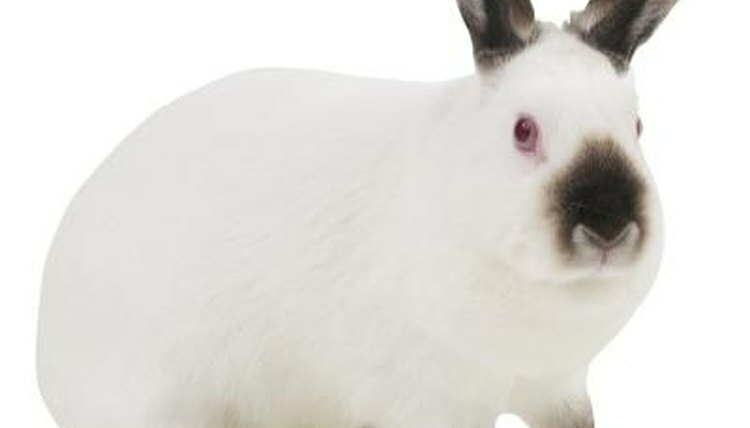 Although many types of pets are indeed appropriate for rabbits, not all of them are. What Does it Mean When Rabbits Nudge? Can Pot Bellied Pigs Get Along With Dogs?